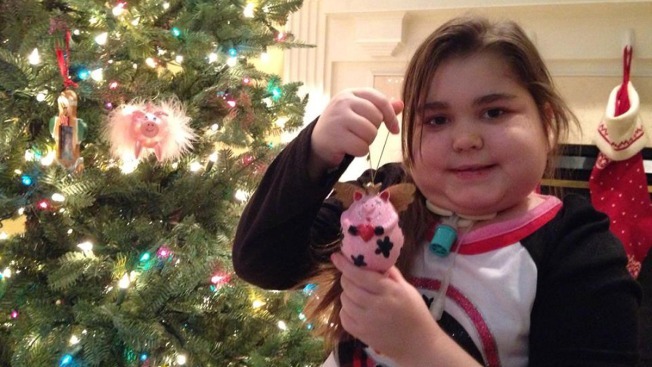 The 11-year-old Delaware County, Pa., girl who survived a double lung transplant six months ago is healthy, getting stronger and is hoping to find a Furby Boom under her Christmas tree. Sarah Murnaghan spoke to NBC News on Friday. During the interview, Sarah said she can now breathe on her own and walk by herself for short distances. The Newtown Square girl made headlines after her family went to federal court to challenge rules that put children like her at the end of the waiting list for adult lungs. Yet Sarah, critically ill at Children's Hospital of Philadelphia, did not qualify for the adolescent list, which is for children 12 and up. “We didn't know if she would live, and the system was up against us,” her mother, Janet Murnaghan said. A federal judge intervened, forcing the Organ Procurement and Transplantation Network- the private nonprofit group that manages U.S. organ allocation - to add Sarah to the adult list. The case raised questions among some health specialists and medical ethicists about how organ donation rules are developed and under what circumstances they might be disregarded. “More people live when you put the sickest patient first,” Janet Murnaghan said. Sarah received two sets of adult lungs this summer as she struggled with the effects of end-stage cystic fibrosis. The first set failed after a June 12 transplant. A second set was transplanted three days later. She still has the disease, but it will not infiltrate her new lungs, which her parents said were working well. Read the full story on NBC News.